An estimated twenty thousand Irish people are to descend on Cheltenham. There are certain acres of ground which are held sacred by followers of sport in this country. For those involved with the GAA it is a few acres of land off Jones Road in Dublin 3. For those who support soccer and rugby, it is a patch of land adjacent to Lansdowne Road in the south of the city. On these fields heros are made. Men and women gain reputations that last a lifetime and beyond for their endeavours on these pitches. Horse racing, and particularly national hunt racing, also has its sacred piece of ground where man and beast combine in pursuit of their holy grail. The irony for Irish national hunt fans is that these few acres are in a town in the Cotswolds that could not be more English. All that changes next week, when an estimated 20,000 Irish people descend on the town. 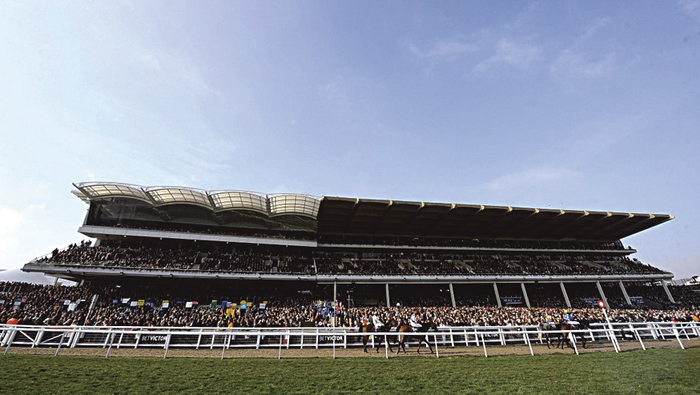 For this is festival week at Cheltenham, and in a matter of minutes at various times throughout the week, heros will emerge to claim their place on a roll of honour that stretches back many generations. Though the Irish had a record breaking 14 winners in 2013 and 12 in 2014, one of the golden rules is ‘back with your head, not with your heart’; with that advice in mind, here goes. We will start with the championship races and then look at a few of the handicaps. For the opening race of the meeting, the Sky Bet Supreme Novices Hurdle, the market suggests a match between L'Ami Serge for England and Douvan for Ireland. Willie Mullins has described Douvan as “good a horse as I have ever sent to Cheltenham”. If this turns out to be true, then the opposition may as well stay at home. For those not tempted by the shortest priced pair, a few euro each way on Jollyallan may reap some dividend. In the Arkle Challenge Trophy, if Un De Sceaux stands up, he wins; it is as simple as that. If he doesn’t, expect to see Vibrato Valtat take advantage, and at around 5 to 1, he is the percentage call at this stage. A fascinating Champion Hurdle sees the new kid on the block, Faugheen, take on The New One, last year’s unlucky third, reigning champion, Jezki, and Hurricane Fly, twice a previous champion and the people’s favourite. The winner must come from this quartet, with Faugheen and The New One impossible to split at this stage. At 3 to 1, The New One will finish in the first two, and may make up for last year’s unlucky run. If Willie Mullins has landed the three earlier Grade Ones, Annie Power will be unbackable for the OLBG Mares’ Hurdle. Therefore back her today, with a run. The 4 to 6 may look very generous by Tuesday afternoon. If she opts for the Ladbrokes World Hurdle, take the hint and back her for Thursday’s race instead. The RSA Chase is also a wide open affair unless Don Poli lines up. If he runs here, he is the selection from a competitive field, but this is one race I will be sitting out. Never an easy race to predict, this year’s renewal poses too many questions. The JLT Novices Chase is another very competitive contest with Vautour, Ptit Zig, Apache Stronghold, and Valseur Lido all cracking novice chasers. The value bet is Valseur Lido each way to upset his stablemate hotpot. It is still very unclear what the lineup for the Ryanair Chase will be, but I see it as a three horse race of Don Cossack, Ma Filleule, and Johns Spirit. Trading at 9 to 1, and with his excellent track record, one of my bets of the week is Johns Spirit each way. I cannot see him out of the first three. Friday begins with The Triumph Hurdle, and it looks a typically tricky affair. Peace and Co may well win, but the price is too skinny and I would prefer a few euro each way on Hargam or Kalkir. A wide open Gold Cup awaits us on Friday, with Silviniaco Conti, Many Clouds, Holywell and Bobs Worth the pick of the home defence, and Road to Riches, Djakadam, and Lord Windermere leading the Irish challenge. Maybe try a few euro each way on the unconsidered Smad Place, who will stay all day, and on Djakadam, whose price of 12 to 1 may disappear if Willie Mullins continues firing in the winners throughout the week. It is too early to say for certain what will run in many of the handicaps, and whether or not the weights will rise will have a bearing on the outcome of a number of them. A few names to watch out for are The Druids Nephew on Tuesday, Activial and Bayan on Wednesday, Eydemi on Thursday, and Savello and Ned Buntline on Friday. Are you ready to take on the Rooster Booster?